We offer Competitive swim clinics for children as young as 7 years old! Swimmers in this program have already competed in some type of swimming program, and are looking to improve technique and speed while also gaining the conditioning needed for upcoming competitions. Most classes have a swimmer to instructor ratio of 3:1, but we also offer 2:1 and 1:1 classes. For a detailed list of skills and more thorough description of each level, tap on each link to read more below. You can also take our online swim level assessment to help place your child in the class appropriate for their age and ability. This curriculum is designed for swimmers who have a solid knowledge of freestyle and backstroke and are working to master breaststroke and butterfly more efficiently. Swimmers in this program have already competed in some type of swimming program, and are looking to improve technique and speed while also gaining the conditioning needed for upcoming competitions. Our focus in this program will be understanding the scientific terms that apply to swimming such as buoyancy, propulsion, and body position in such a way that promotes greater speed and efficiency in the pool. Many swimmers who already compete on surrounding teams will swim in this clinic in order to improve technique and speed. This curriculum is designed for competitive swimmers, from those just beginning a swimming career to those posting times at the national level and working towards college scholarships. It is also open to local college-level swimmers or those home on break from college program. Swimmers in this program are looking to gain a stronger knowledge of the technical aspects of swimming, while gaining speed and implementing race strategies. Our focus in this program will be to first gain an understanding the scientific terms that apply to swimming such as buoyancy, propulsion, and body position in such a way that promotes greater swimming success. Swimmers will also be coached in how to improve mental skills through visualization and understanding of sport and competition at a deeper level. Many swimmers who already compete on surrounding teams will swim in this clinic. Clinics will be offered as full 12-week sessions to go over all strokes, mini clinics and camps to work on specific skills, and as private instruction for 1-2 swimmers. ***All high level competitive lessons are private, closed sessions, with no photography/video allowed and no posted attendance lists. All of our schedules are also kept private. This is to protect the privacy of our swimmers. Swimmers must provide best times in 100/200 free and 100/200 of his/her best stroke. Eligibility will be determined based on age and posted times. North Jersey Aquatics has a strong vision to help national level athletes reach their full potential. This curriculum is designed for competitive swimmers, from those just beginning a swimming career to those posting times at the national level and working towards college scholarships. It is also open to local college-level swimmers or those home on break from college program. We know that coaches do not always have the time to go over details, so our goal is to teach your swimmers what they should be focusing on in practice, improve starts turns and other aspects of their races, and overall become stronger and more confident in their swimming. From a mental perspective, we also know that athletes are looking for guidance in how to mentally prepare for races, achieve higher levels, and deal with the grueling day in and day out schedules. Part of our lessons will be spent giving your athletes the tools they need for success in higher level athletes as well as in life! North Jersey Aquatic Club offers private stroke technique lessons in either a one on one or a two swimmer, one coach format. 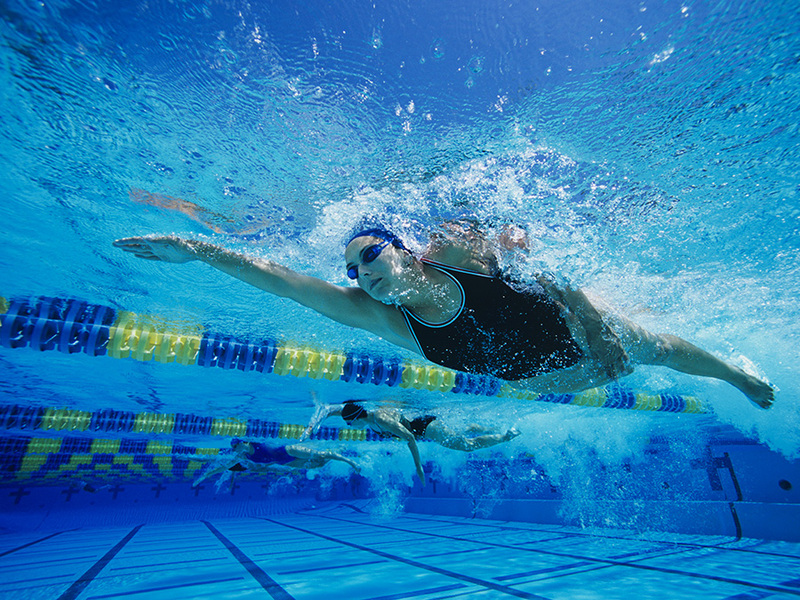 These lessons are typically one hour long and focus on all aspects of swimming mechanics. After discussing technique goals with the swimmer, our coaches will evaluate the athlete’s mechanics and determine a course of action that will most appropriately and efficiently target the technique deficiencies. We believe that the discussion of what we are going to do, and why we are going to do it, is crucial to the swimmer’s success in learning new skills. Our technique coaches each have many years of coaching experience at summer league, high school, USA Swimming, and YMCA teams and are all well regarded stroke technicians. We utilize digital videography both above and below the water to assist in our technique correction. During an underwater video session, our coaches video and review technique in order to provide immediate feedback and improvements. NJAC uses several apps that allow us to review video frame by frame, in slow motion, or in a side by side comparison to other videos. Over several filming sessions this allows us to compare the swimmer’s stroke from the first sessions (without correction) to the new stroke mechanics that have been taught. In order to register for our program, you will just click this link and create a family profile. Once your registration is complete, we will set up your initial evaluation and lesson with one of our coaches. From there we will develop an individualized program for you! Each lesson is booked individually and privately with our coaches, so a public schedule is not available. All openings will be provided through email once registration is complete.